Mike Nudelman/Business InsiderTumblr CEO David Karp and Yahoo CEO Marissa Mayer. Tumblr’s plan to reach owner company Yahoo CEO’s Marissa Mayer’s vision of becoming a $US100 million revenue business by next year isn’t to take on other internet giants like Facebook and Twitter for ad money. Instead, the blogging platform wants to steal ad money from TV broadcasters and newspaper and magazine publishers, Tumblr CEO David Karp told the Financial Times. Tumblr is now on a mission to prove to advertisers that it is the best platform for “aspirational” marketing campaigns, that are typically placed on TV or in premium glossy magazines, the Financial Times report suggests. Tumblr doesn’t just want to be speaking to the digital agencies, it wants to be forming partnerships with the top creatives and marketers behind big brand Super Bowl ads. Karp told the newspaper that while the rest of the industry is focused on direct response advertising — when consumers are likely to be on the lookout for one particular product and are served with a “buy me now” ad — and narrow targeting that uses data to show ads based on very strict sets of criteria, Tumblr offers advertisers a broader base of interests. That’s why he thinks Tumblr is the best place for brand marketing campaigns online. He said in the interview: “The whole industry is obsessed with harvesting intent when, if you look at the biggest brands, they want to create intent, to get people to aspire to wear the clothes, drive the car, drink the soda. Right now there aren’t a lot of pleas in any of these digital networks which inspire people to become a customer … which they used to do with great TV and print campaigns. One of the advantages of Tumblr over Facebook or Twitter, Karp believes, is that people come to Tumblr with the intent to consume content rather than communicating with their friends. So in that way its sponsored posts, radar posts and trending blogs ad formats are not a “jarring surpass” that takes you away from your very “personal place,” Karp added. 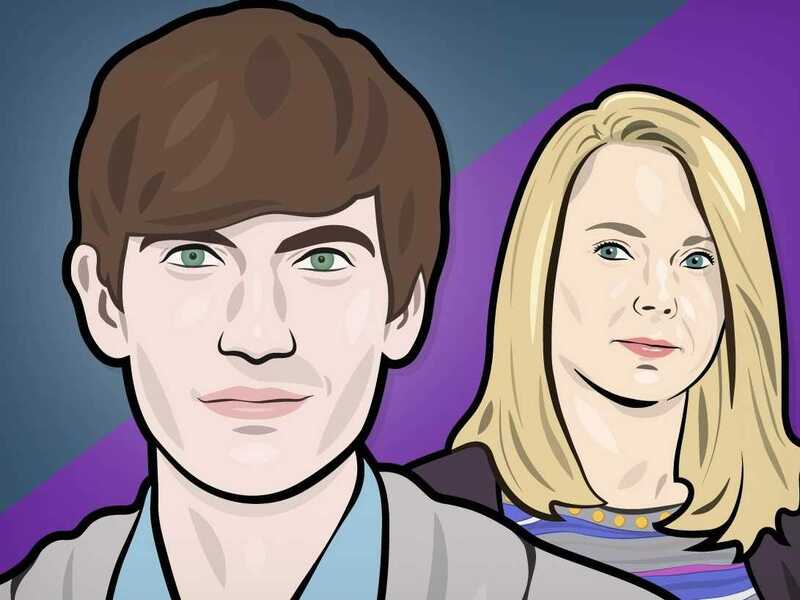 Yahoo acquired Tumblr for $US1 billion last year. However, many observers have criticised the move as the acquisition does not appear to be immediately paying off. However, in Yahoo’s last earnings call, CEO Marissa Mayer said Tumblr is likely to report its first profit (before interest, tax, depreciation or amortization — otherwise known as EBITDA) by the end of 2015. On Tuesday Mayer said, in announcing Yahoo’s $US640 million acquisition of video adtech platform BrightRoll, that Tumblr was on track to generate more than $US100 million in revenue next year. Business Insider’s Nicholas Carson revealed last month that Yahoo is planning to use BrightRoll to turn Tumblr into a video site to rival the likes of YouTube. YouTube has also recently confirmed it is coming after TV’s money, by putting more effort into mimicking broadcasters’ “upfront” events to secure long-term bulk advertising deals. advertising-us bi london sai tumblr yahoo!